Burial or Cremation or where they would like to be scattered. This is without the consideration of the cost. 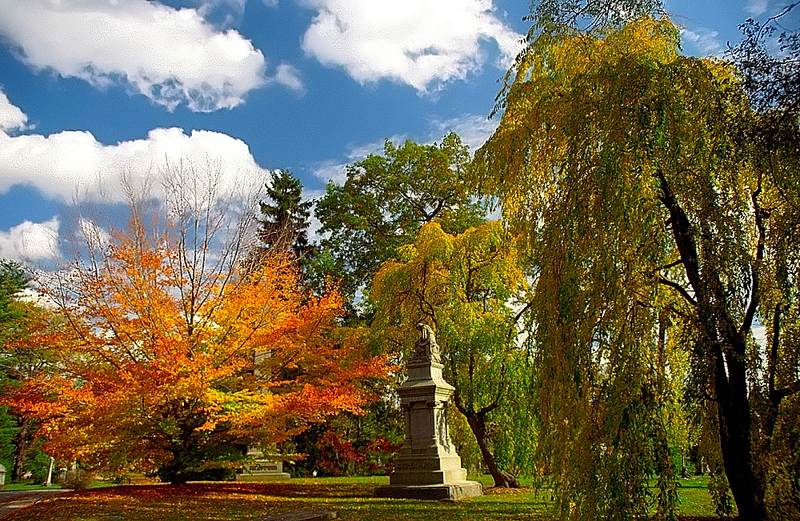 Are you aware that funeral costs, according to Golden Leaves have risen 61% in the last 7 years. Who can say what costs will be in the next 7 years. Hence a Funeral Plan is worth considering if any of the above are of a concern to you. 2) Funeral Directors cost are covered whatever they may be, at the time of need. Golden Leaves Ltd emerged in 1985 and were instrumental in developing the National Association for Pre-paid Funeral plans (NAPFP). This ensures all monies paid to Golden Leaves are adequately protected by means such as trust funds that provide security for plan holders and funeral directors alike. Golden Leaves Ltd is registered with the Funeral Planning Authority Ltd (FPA), adheres strictly to its code of practice , and continues to be at the forefront of the development of regulation in this country. Golden Leaves Funeral Plans conform to the Financial Services & Markets Act 2000 (Regulated Activities) Order 2001. Golden Leaves Ltd is the only funeral planning service to provide a repatriation plan into and out of the UK. Peace of mind: As plan holder your personal funeral wishes are set out in a guarantee, so that your relatives know exactly what you want. Having a funeral plan guarantees that, at the time of need, the funeral director’s services will be carried out as requested by you in the plan for the pre-paid sum. Thoughtfulness: Having a funeral plan shows your loved ones that you cared enough about them to relieve them of both a financial, and emotional, burden at what will be a difficult time. Having a “green” funeral plan also shows they care about the world we live in too. Financial: Once a pre-paid funeral plan is purchased you can relax in the knowledge that the funeral director’s costs are guaranteed, and any increases in the costs of the disbursements (such as doctor’s fees, minister’s fees, crematorium charges etc) included in the initial purchase price of the plan, but beyond the control of the funeral director, are guaranteed up to the RPI (Retail Price Index). Any rise in the cost of the disbursements beyond the RPI may necessitate further payment from the estate, executor or next of kin at the time of need. Security: All payments for Pre Paid Funeral Plans are managed by Merrill Lynch Quilters Fund Managers and held securely in the Golden Leaves Trust by a board of independent trustees. The money that is paid for a funeral plan is totally secure. No Age or Health Restrictions: There are no age limits to taking out a Golden Leaves Funeral Plan, nor is there any medical evidence required from a doctor. Cancellation: Clients are provided a full refund of all monies paid into a plan (without interest) within 28 days from the date of application, subject to the terms & conditions of the plans sold at the time. After the cooling off period, a fee equivalent to 20% of the total value of the plan is deducted and the balance returned to the client on cancellation. Terms & conditions may vary from time to time. Easy Payment Options: Most people make one single payment for their plan. However, low interest instalment payments are available, over periods of up to 60 months, if required. Interest is applied at 6% cumulative per annum, excluding the first year. A deposit of a minimum £200 is collected as the first month’s premium, thereafter the remaining cost is spread over the selected instalment period. Portability: Should a plan holder relocate within the UK, Golden Leaves will endeavour to place the plan with a funeral director local to their new address. However, should there be a regional price variance; clients will have the option to pay any additional amount required, or cancel the plan; subject to the usual terms and conditions. Irrespective of how long you live after taking out and paying for a funeral plan you will never pay any more for it. With whole of life cover, if you live to a ripe old age, you could be seriously out of pocket! Golden Leaves Ltd offer a number of different plans to suit a budget. If you wish to discover more or discuss further do not hesitate to contact me.